Clopton House Tower sits at the top of the first hill as you approach the reserve from Maidenhead Road. The building, now listed, dates back to about 1850. The first thing you notice, of course, is the battlements on the top, effectively making it a little castle! 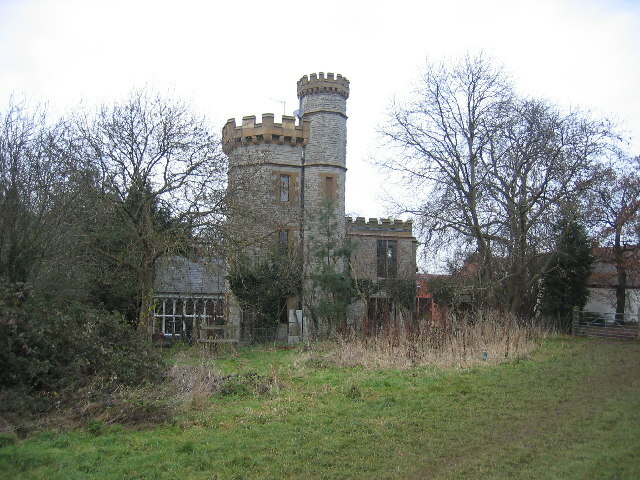 The tower was designed as a belvedere for Clopton House and has been described as either “the smallest castle or grandest cottage in England”. A belvedere is an italian word literally meaning “good view” and it was common for wealthy people to build towers and folleys just simply so that people could get a good view of their surroundings. It’s not an uninhabited folly however, and the building was carefully converted into a private house in the 1990’s, and a new section has been added in identical style complete with matching stone and battlements.